Too often, alumni lose touch with their alma mater as they launch their careers, start businesses and families and move to new cities. 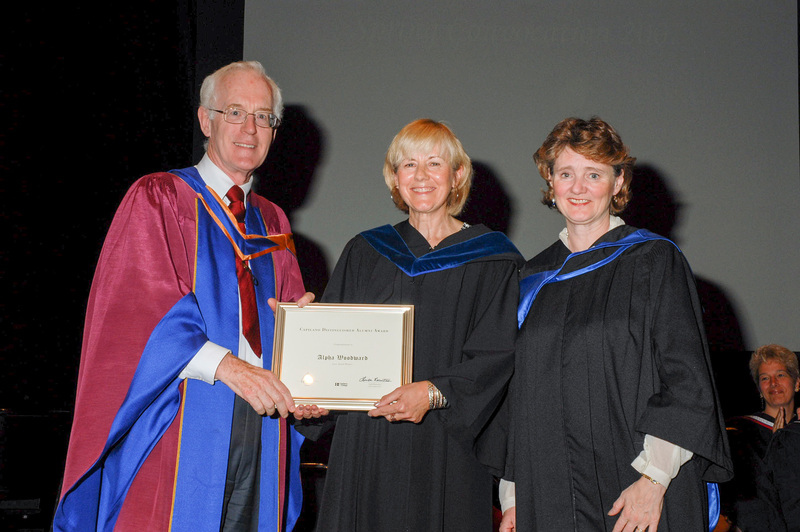 The award would recognize a CapU alumna or alumnus who had achieved excellence in his or her field of study. They decided to nominate two music therapy grads. One of them was Alpha Woodward, the field director for the Pavarotti Music Centre, an organization in Bosnia-Herzegovina that uses music therapy to help children and youth recover from the trauma of war. When she learned she would receive CapU’s first Distinguished Alumni Award, Alpha Woodward felt proud and happy. Since that inaugural award ceremony, the Distinguished Alumni Award has grown to become the Alumni Awards of Excellence, an annual gala event celebrating the achievements of alumni, employees and friends of CapU.